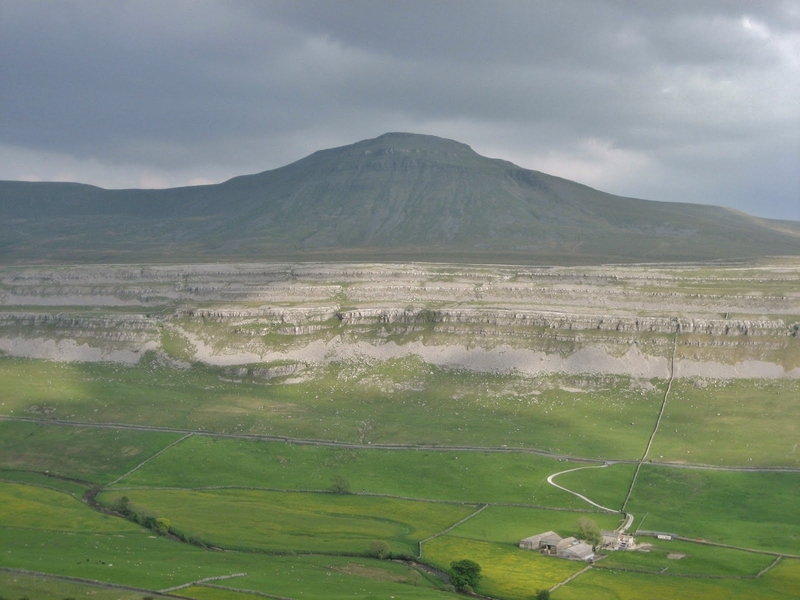 The Great Scar sequence on which Ingleborough stands is best seen either side of Chapel-le-Dale, to the west of the massif. Here two very different bands within the Great Scar can be picked out by the trained eye, especially if viewed from Scales Moor. Above the basement rocks, and now largely obscured by a blanket of grass-covered till, is the Cove Limestone. This is named after Malham Cove, where its uniform smoothness and weak bedding make up the majority of the great cliff face. Just above the B6255, small cliffs of this limestone can be distinguished by their unbroken faces, with very few, if any, bedding planes. Clearly, the Cove Limestone was laid down during a steady period of fairly constant sea levels – where deposition of marine creature remains could go on for a relatively large amount of time. Above this, and forming the upper part of Raven Scars together with Ingleborough’s classic limestone pavements, is the Gordale Limestone. Fluctuating sea levels no doubt contributed to its heavily bedded and more fragile appearance – with many shale beds being laid between the beds of limestone. 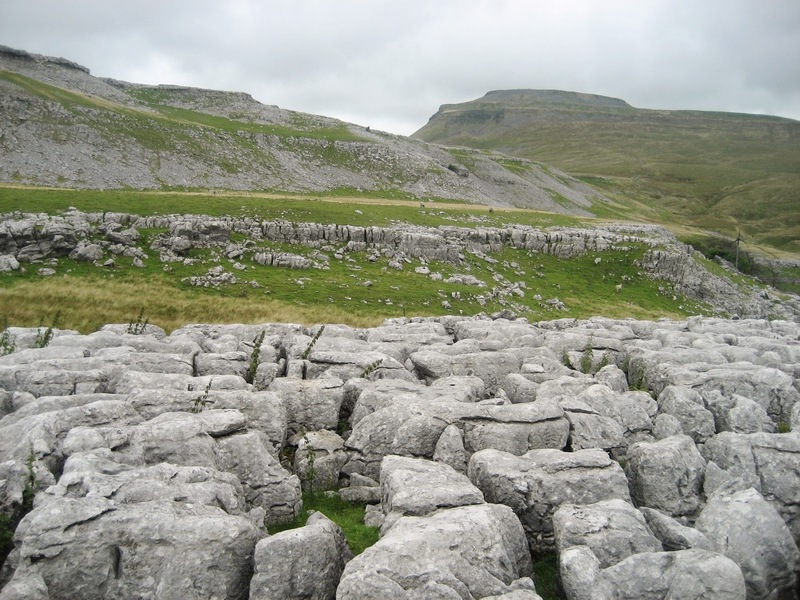 As the name implies, this limestone forms the top part of Gordale Scar, as well as Malham Cove – and in Chapel-le-Dale it is responsible for the upper half of both the Raven and Twisleton Scars. 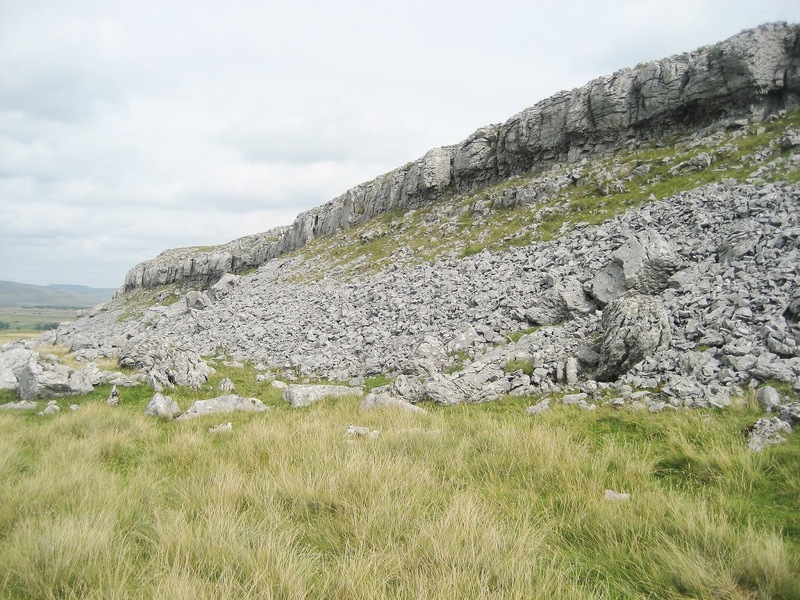 Around Ingleborough, there is a very clear and distinctive bedding plane marking the boundary between the two limestones, which together form a platform up to 200 metres (600 feet) thick. A band of very fine, structureless limestone is often seen at this boundary and is known as the Porcellanous Band. This was believed to have been formed when a drop in sea level resulted in a lagoon so shallow that only the tiniest creatures could survive, until deeper, more erratic conditions allowed the Gordale layers to form on top. The best place to see the band is inside the Main Chamber of Gaping Gill. The topping of the Great Scar Sandwich – effectively a swampy beach before the Yoredale Series came along, was marked by the Girvanella Band. Swampy shallow conditions allowed an alga, one known as Girvanella, to flourish, and large nodules of it can be found in this elusive layer – much of which has since been eroded away by glacial action and weathering.